"When There Were Ghosts" by Alberto Ríos was offered by Poets.org's Poem-A-Day on March 3, 2014. A link to the poem, including the poet's notes, may be found here: http://www.poets.org/viewmedia.php/prmMID/23905. Alberto Ríos (b. 1952) is the Regents Professor of English at Arizona State University in Tempe and the inaugural State Poet Laureate of Arizona. He was elected a Chancellor of the Academy of American Poets this year. He has received numerous other prestigious awards and honors and has several published books of poetry to his name. Additional biographical information, as well as links to other poems by this poet, may be found here: http://www.poets.org/poet.php/prmPID/50?utm_source=PAD%3A+When+There+Were+Ghosts+by+Alberto+R%C3%ADos&utm_campaign=poemaday_030314&utm_medium=email. The poem is arranged in twelve couplets of ragged, irregular free verse. 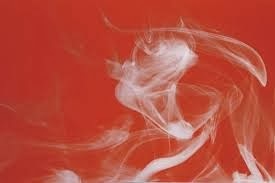 The conceit of the poem involves the creation of ghosts, or at least ghost-like images, in the cigarette smoke-filled air of the movie theaters of the 1950s and 60s.